The most common coffee and tea additives are dairy and sweeteners. There are a lot of people who prefer their tea or coffee black, meaning without any additives, but on the whole, more people than not enjoy their coffee or tea lightened. Usually, milk is used, but there are lots of dairy and dairy alternatives. Learn more about some of the common dairy and dairy alternatives you can use for coffee and tea. Milk is commonly added to tea, brewed coffee or espresso. Some people prepare their beverage with milk as a base (as is the case with masala chai). Proportions of coffee or tea to milk vary with drink types. For example, lattes often have more milk than other espresso drinks. In some cases, milk may be foamed or frothed for additional texture in drinks such as cappuccinos and macchiatos. Cream is occasionally added to coffee and tea drinks, such as espresso con panna, which means "espresso with cream" in Italian. In this drink, cream is whipped and served with a single or double shot of espresso. Some people mistake the term "cream tea" to mean tea with cream. Outside of East Frisian tea, which contains actual cream, cream tea usually means an afternoon snack of tea, Devon cream (or clotted cream) and scones. Half-and-half is an equal mixture of one-part whole milk to one-part light cream. In the United Kingdom, it is called "half cream." It has less fat than just using cream, and it has more fat than just milk. The slightly higher fat content gives it a richer, creamier feeling than milk, which is why it is quite popular. Non-dairy creamer, also known as "whitener," is a lactose-free dairy alternative for coffee. It may be in liquid or a granule or powdered form. Artificially flavored varieties include caramel, chocolate, and seasonal flavors. It is usually made of hydrogenated vegetable-based fats, a lot of sugar, and it is considered flammable. It is not a "natural food product." It was completely fabricated in a food lab. Recently, a more natural coconut milk-based non-dairy "creamer" has become available in some health food stores and supermarkets. Those seeking more natural non-dairy options often turn to soy milk, rice milk, cashew milk, almond milk, coconut milk, oat milk, and hemp milk. 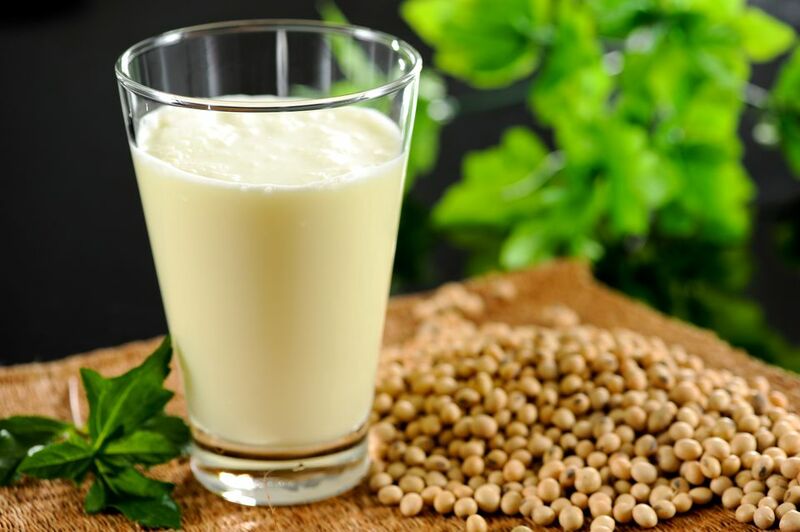 Soy milk is widely available and provides a decent mouthfeel, but some people with lactose sensitivities are also allergic to soy. Also, soy milk can come in seasonally available flavored varieties such as pumpkin spice. Rice milk may be less widely available than soy, but it is becoming more available as it grows in popularity. It has a slightly sweet taste that works well with coffee and tea, but a drawback is that its consistency is watery compared to regular milk. Nut milks like cashew milk and almond milk provide a superior mouthfeel to other non-dairy alternatives, but they are also usually more expensive. Another nut milk, coconut milk, also has a creamy mouthfeel and a mildly sweet flavor. It is increasingly more available in supermarkets. Some people add other dairy products, such as evaporated milk or sweetened condensed milk, to their coffee or tea. A prime example of this is Hong Kong Milk Tea, which uses condensed milk for a sweet and creamy treat.